A combination of ferns and heuchera. 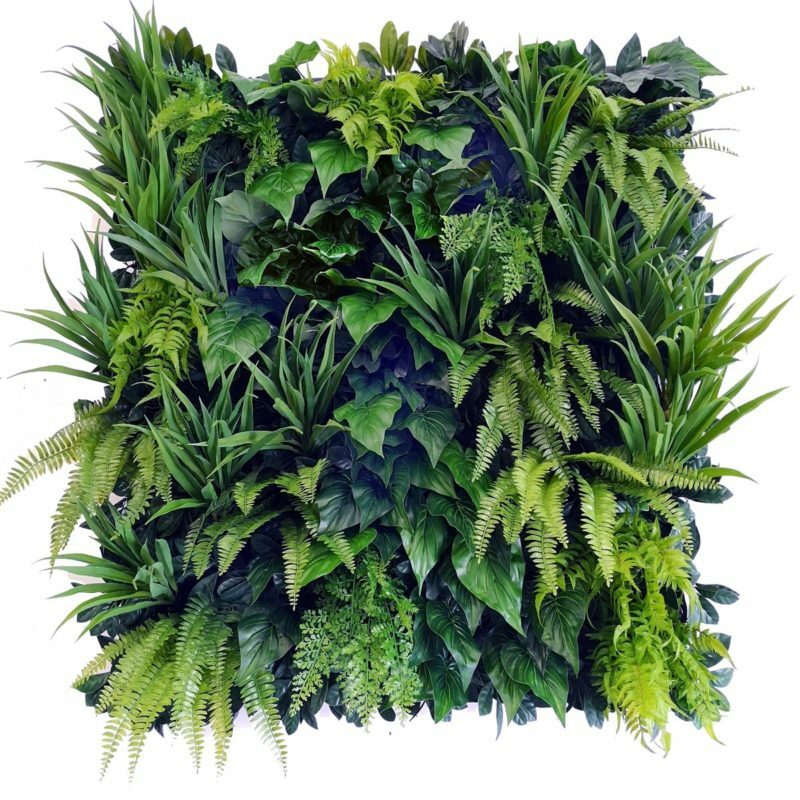 Foliage backing with 40-50 plants per square metre. Prices from $400-$650/sq.m depending on the quantity and variety of plants used. 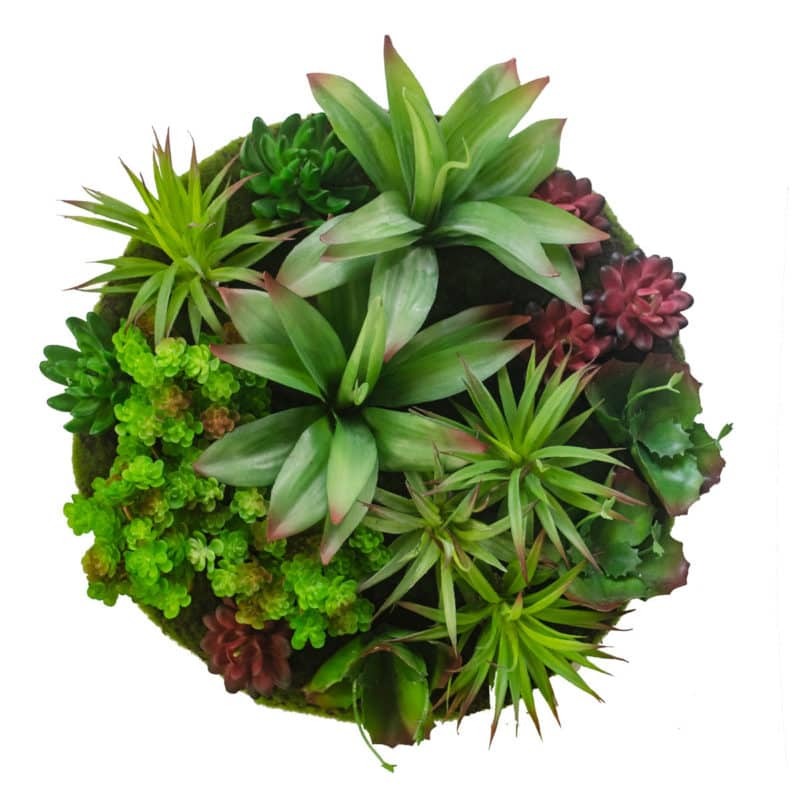 *We send the plants and materials with instructions and tips on installation. 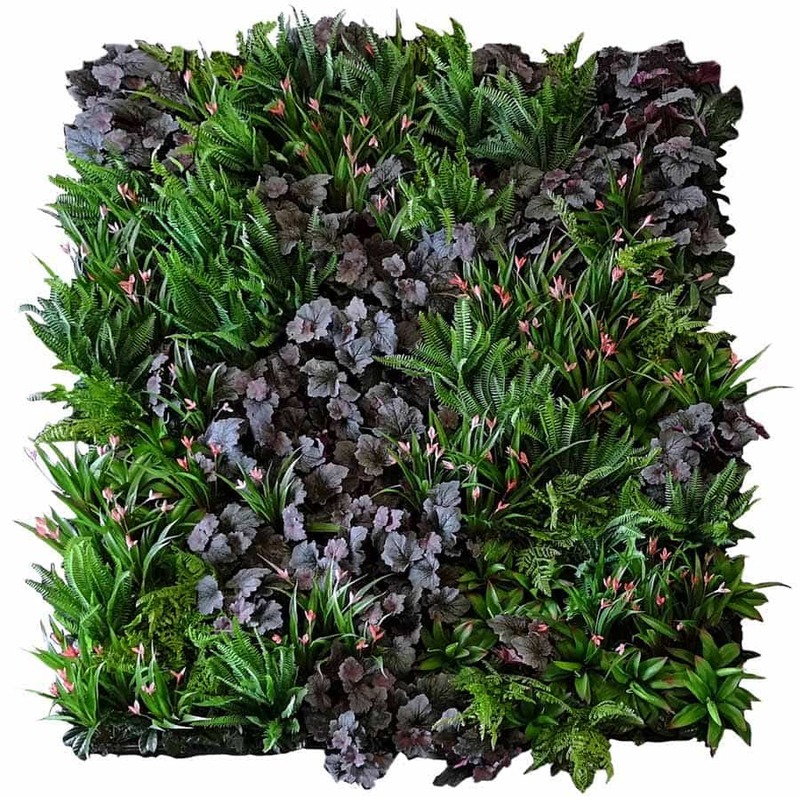 This vertical garden theme was developed for a hair salon wanting touches of pink and mauve to match their existing decor. 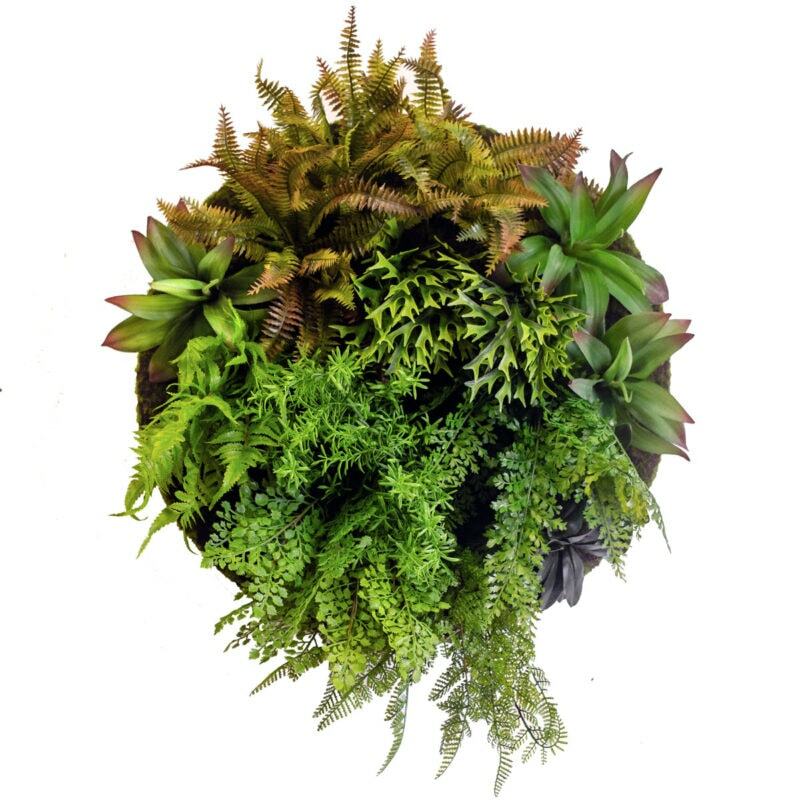 It is just another example of the wide variety of combinations possible using our premium range of plants.